Katherine was the heiress to an ancient barony, who became the ward of Henry VIII’s brother-in-law, the Duke of Suffolk. When he was widowed, he married her, despite a large age gap. Katherine became a great supporter of Protestantism, even going into exile during the reign of Mary I, rather than hide her religion. Her two adolescent sons by Suffolk died, but she went on to find personal happiness in a second marriage. Whilst in England, Katherine generally move between London, East Anglia and Lincolnshire, but, in exile she travelled as far as Lithuania, in search of religious freedom. Katherine was the daughter of one of Katharine of Aragon’s ladies-in-waiting, and herself served Anne of Cleves and Katherine Parr. Her second marriage, to Richard Bertie, was made for love, rather than the usual political and economic reasons. Katherine was a stout defender of Protestantism, and much of what we know of her comes from Foxe’s Book of Martyrs, one of the most influential books ever written in English. 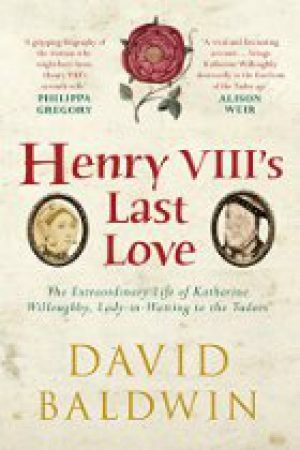 The most recent biography of Katherine is Henry VIII’s Last Love by David Baldwin, reviewed here.